Why did the Dockers strike? 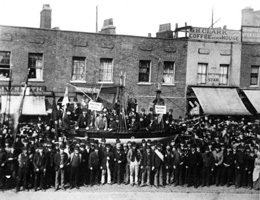 The Great Dock Strike of 1889 took place against a background of growing trade unionism among unskilled workers who had become increasingly dissatisfied with the low pay, unsafe working conditions and poor living standards, which both they and their families endured. The typical wage for a dock worker in London was just 3 - 7 shillings per week, in contrast to the agricultural labourers’ average pay of 13 shillings per week. With little mechanization, the loading and discharging of ships often had to be performed manually, which was a difficult and dangerous task. Image: Engaging Dock Labourers at the West India Docks, 1886. Most dock workers were employed on a casual, day-to-day basis, with few securing regular employment. The dock companies received very little advance notice of a ship’s arrival and, as such, they were keen to ensure that there was a large workforce readily available without having to endure the expense of paying for surplus workers during quieter periods. As a result, a ‘call-on’ system was adopted, whereby a number of times a day, workers would congregate at each of the docks and a foreman would select which ones to hire, often for less than a few hours at a time, based on the availability of work. The system was degrading and encouraged both favouritism and petty corruption, as trade union leader Ben Tillett describes: "We are driven into a shed, iron-barred from end to end, outside of which a foreman or contractor walks up and down with the air of a dealer in a cattle market, picking and choosing from a crowd of men, who, their eagerness to obtain employment, trample each other under foot, and where like beasts they fight for the chances of a day's work"
Towards the end of the 19th Century, socialist ideas were becoming more widespread. Ordinary workers were becoming dissatisfied with the trade unions, which at the time catered only for skilled trade workers. German political theorist and philosopher, Friedrich Engels, criticised the conservative nature of the trade unions, commenting that -"...the richer they become, the more they degenerate into mere sick-funds and burial clubs". Gradually, low skilled workers began to organise themselves in order to take on their employers. In 1888, the match girls went on strike at the Bryant & May factory over appalling health and safety conditions. The following spring and only a few months prior to the dock strike, the National Union of Gas Workers and General Laborers was successful in obtaining a reduction in working hours and a small pay increase for workers at Beckton Gas Works. 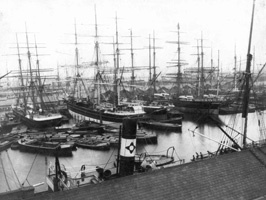 The Dock Strike of 1889 began after a disagreement arose over the amount of ‘plus’ payment due to dockers who unloaded the ‘Lady Armstrong’, a cargo ship in the West India Dock. This payment was a bonus was awarded for completing work quickly, however in order to attract more ships to the dock, the normal rate had been decreased. 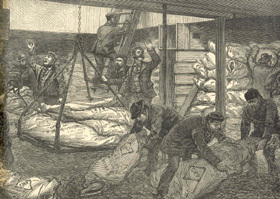 Led by Ben Tillet, workers in the West India Dock went on strike on 14 August 1889. Having formed a union, the dock workers’ main demand was an increase in pay to sixpence per hour, which became known as the “docker’s tanner”. The dock workers also demanded an increase in the overtime rate, in addition to the abolition of the contract and ‘plus’ systems. Furthermore, the dockers insisted that men should be hired for at least four hours per day and that the ‘call on’ should occur only twice a day. As part of the strike, mass meetings were held at Tower Hill, pickets were established at the dock gates and marches were organised through the City of London. On the whole, the strike remained peaceful, which resulted in the dock workers winning the sympathy and support of the public, who contributed £11,700 to their cause. The success of the strike relied upon the support of the whole port, including all grades of dock worker. Ben Tillett acquired the support of The Amalgamated Stevedores Union, who were quickly followed by lightermen, rope makers, corn porters, carmen and gas workers, among many others. Strikes broke out in factories and workshops throughout the East End and it was estimated that by 27 August, 130,000 men were on strike. The port was soon brought to a standstill. However, the lack of funds remained a huge problem for the strike organisers. Dock workers and their families suffered greatly from hunger during the strike and many refused to pay their rent. The unions issued up to 25,000 meal tickets per day, but there were still inadequate funds to meet the basic needs of the increasing numbers on strike. Luckily, from early September funds raised by Australian dockers and their allies began to arrive. The first installment of £150 was sent by the Brisbane Wharf Labourers' Union. In total, over £30,000 was donated, which amounted to nearly two thirds of the funds raised in total. This enabled strike organisers to adequately support the strikers and their families and concentrate instead on the picket lines. Victory now seemed achievable. In early September 1889, the Lord Mayor of London formed the Mansion House Committee, whose purpose was to reach an agreement between the dock owners and the strikers. 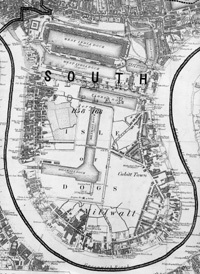 The dockers were represented by Ben Tillett and John Burns, and the negotiations were mediated by Cardinal Manning, the Roman Catholic Archbishop of Westminster. 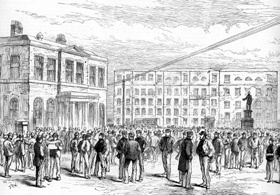 The Mansion House Committee persuaded the dock employers to meet the majority of the dockers' demands. After much disagreement, it was even agreed that the pay increase to sixpence per hour, the famous “dockers’ tanner”, would be implemented from early November 1889. The last large demonstration of the dockers’ strike was held on 15 September in Hyde Park and the following day the dockers returned to work. 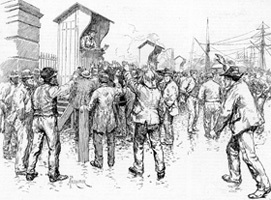 The Great Dock Strike of 1889 was over. 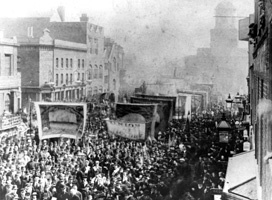 The Great Dock Strike of 1889 was a significant milestone in the history of trade unionism. Unskilled workers throughout the country began to feel more confident in their ability to act collectively and trade union membership grew from 750,000 in 1888 to over 2 million by 1899. 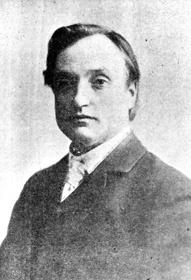 After the success of the Dockers Strike, Ben Tillett was elected as the General Secretary of the newly formed ‘Dock, Wharf, Riverside and General Labourer’s Union’. Membership reached almost 20,000 in London alone and in 1922, the union amalgamated with other smaller unions to form the ‘Transport and General Workers Union’, which later became the largest trade union in the world.